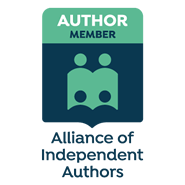 I’ve posted before about hearing from readers when it comes to learning how they find independently published works of literary fiction. So I have put together a survey with 8 questions (actually 9 questions, but one asks for an email address, which doesn’t count). Its brevity is intentional and will hopefully make readers want to participate. The more you ask of people, the less likely they are to respond and all that. On the other hand, the questions still need to be meaningful, and I think they are. Having recently been interviewed by author Jay Lemming on the subject of literary fiction (link to interview follows this post), I rashly agreed to write a longer piece on how I came to find the indie publisher who published my work of literary fiction (and subsequent novel), Vagabondage Press. So that’s what I’m doing, but where to start and what to say? I should like to say that going with an indie publisher was a literary and philosophical choice, that I always intended to go indie, but I’d be fibbing.